In the framework of the launching of the negotiations for an AUSTRALIA-EUROPEAN UNION free trade agreement (FTA), the Chambers of Commerce of Wallonia invite you for an info-session presented by H.E. 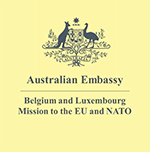 Ambassador of Australia to Belgium & the European Union Monday, Feb 18th in NIVELLES. 13 :30: Australia and the European Union: towards a comprehensive and ambitious free trade agreement,by H.E. M. Justin Brown, Ambassador of Australia to Belgium, Luxembourg & the EU. 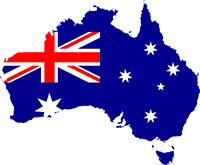 His presentation will include an overview of Australia’s economy and trade profile; Australia’s bilateral trade with the EU and with Belgium; benefits of an Australia-EU FTA ; objectives for the negotiations; and the current status of the negotiations. 14 :00 Why Australia ? Why Belgian and European businesses should consider Australia as an interesting trade and investment partner, as well as commercial opportunities in key sectors, by Ms Jennifer Mackinlay, Senior Trade and Investment Commissioner at Austrade. (Austrade is Australia’s trade and investment promotion authority ; the office in Paris covers France, Belgium, Luxembourg and Monaco). 14 :30: Presentation of the new Import & Export Club South East Asia (Asian countries) + Australia, Japan and South Korea. Véritables passeports pour les marchés internationaux, ce Club est un groupe de partage d’expériences et d’échanges de bonnes pratiques entre CEO’s et Export Managers d’entreprises wallonnes en pleine croissance. EN 2019, OUVERTURE DE L’IMPORT EXPORT CLUB PAYS D’ASIE DU SUD-EST, JAPON, AUSTRALIE ET CORÉE DU SUD ! Les 5 réunions sont suivies et animées par un expert et spécialiste de ces pays. 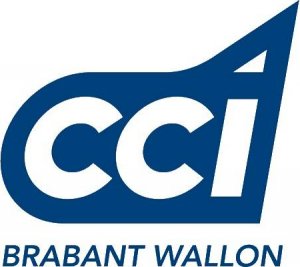 Le Club est organisé par les CCI du Brabant wallon, du Hainaut et de Wallonie picarde. Il démarre en juin 2019. Les dates sont communiqués sous peu. Chaque réunion commence à 9h00 et se termine à 12h00 par un lunch inclus dans le prix.